Disneyland is planning to shut down the popular Matterhorn Bobsleds attraction for “testing,” starting on April 16, according to Disneyland’s website. 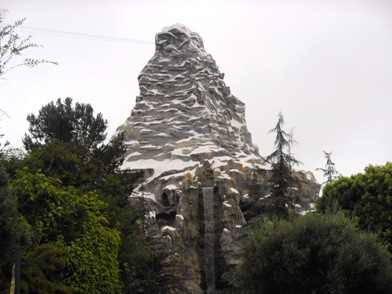 The Mouse for Less website reports that the Matterhorn will be shut down through April 19 and also from April 22-26, 2013. The Matterhorn has had trouble for years – initially they had a lot of corrosion issues due to humidity and poorly treated steel surfaces. I know this because a good friend of mine was hired awhile ago as a corrosion consultant at Disneyland. Innovation was an integral part of Walt Disney’s character. Matterhorn Bobsleds is not only the first roller-coaster-style attraction at Disneyland Park, it is also the very first tubular steel roller coaster in the world. Another bit of trivia: No other Disney Park in the world has a Matterhorn Mountain. This iconic attraction at Disneyland Park is indeed one-of-a-kind. This entry was posted in Disneyland, Matterhorn, News and tagged Closures, Disneyland, Matterhorn. Bookmark the permalink.